For more information please also check the Taking screenshots page. 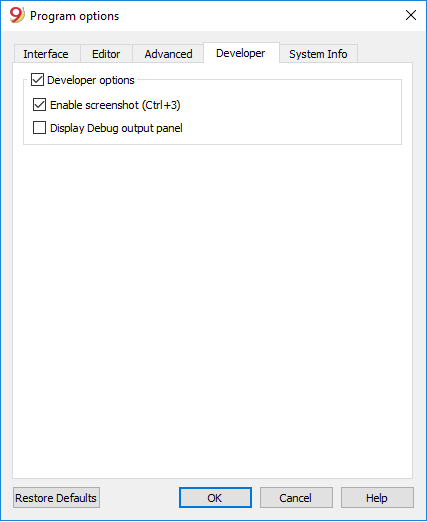 If this option is activated a 'Debug output' panel is shown on the bottom of the main window. In this panel all debug messages are shown to the user. Debug messages allow to check that the program is working properly during scripts or add-ons execution or during web server calls. This option is meant for scripts, add-ons or http sheets developers. For further documentation see the page Debugging.